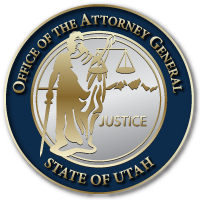 SALT LAKE CITY October 2, 2017 – Utah Attorney General Sean Reyes released the following statement regarding the shooting last night in Las Vegas. “Our deepest sympathies extend to the families of those who lost their lives and our prayers lift toward heaven on behalf of those recovering or whose lives hang in the balance. In addition to the many civilian lives tragically taken, we mourn the deaths of military veterans and law enforcement personnel killed during and in response to the shooting. The thin blue line of law enforcement is painfully even thinner today. “As has been the case with other mass shootings that have occurred worldwide in the recent past, perhaps out of the horror and shock of such senseless violence, we can unite in love and unity as a nation and as a global community to demonstrate support for those suffering and to condemn all such acts of unmitigated evil. This entry was posted in Recent Posts and last updated on October 2, 2017 .